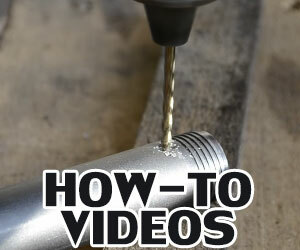 One of the most popular shotgun accessories you can add to your existing shotgun is a scope. This gives you the ability to see far away targets and increases your accuracy tremendously. However, not all scopes are the same which is why you need to purchase a high-quality scope that gives you the most features possible. Optic sights are a form of firearm sight technology which gives the shooter an image in their sight scope that is aligned with their aiming point. This image is basically a crosshair that allows you to easily aim at your intended target. The idea is to align the crosshair so that the middle of it is covering the target you want to shoot. 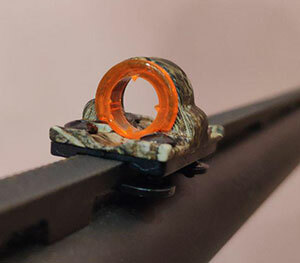 Reflector sights are a little different than telescopic sights because they don’t magnify the sight in front of you. They just consist of a glass viewfinder which reflects a superimposed aiming point that is illuminated in the field of view. 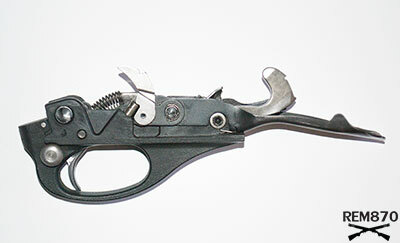 These are actually older sights that have been used on weapons for over 100 years. In fact, the first time reflector sights were used in weaponry was near the end of World War I by German aircraft. These sights eventually got more sophisticated over the years and were used in electronic radar devices and aircraft head-up displays. Holographic sights are a newer sight technology that does not use magnification. Instead, the shooter looks through a glass viewfinder and sees a superimposed crosshair that covers the target in the distance. 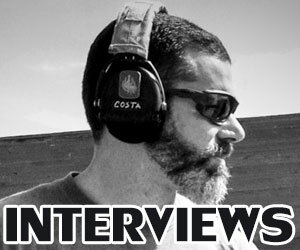 This allows the shooter to aim more precisely at their target without having to worry about aligning the target to a bigger crosshair that is up close. What is neat about the crosshair of this sight is that it uses a laser diode to illuminate it in the window. That way if the shooter is in a dark location then they’ll still be able to see the crosshair just fine. Optic sights are typically found on rifles but there are some weapon manufacturers creating these sights for handguns and shotguns as well. They are perfect for novice shooters who aren’t particularly good at aiming at a target. Or for experienced shooters which want to hunt game at longer distances. The sights will give them assistance in their aiming efforts and increase their chances of successfully hitting their target. You can purchase these optic sights on Amazon or through online gun retailer websites. Let’s start with Nikon scopes which are very popular and affordable. Shotguns are typically considered to be short range weapons because of their wide spreading shots and inability to be precise. Of course, that’s only if you’re using shotshells with pellets in them such as birdshot or buckshot. If you are using slugs as your ammunition, then you will have better luck using your shotgun for long range shooting. The only challenge will be aiming your shotgun at a target in the distance and being able to hit it spot on. Fortunately, there are scope attachments you can purchase for the shotgun to give you a crosshair over your target and increase your chances of hitting it. The Nikon Slug Hunter BDC 200 Shotgun Scope is highly recommended for precision shooting with a shotgun that uses slugs. It contains an optical scope system which allows the reticle to be adjusted by hand so you can focus the eyepiece on your target very easily. The viewfinder also gives you a wide range view of the field or environment in front of you. That way, you can stay focused on any moving target in the distance that is trying to get away. Not only that, but it allows you to keep looking through the scope without having to look away and miss an opportunity to hit the target. This Slug Hunter scope is made to fit almost any type of shotgun, or slug gun, that you can imagine. The multicoated optics of the Slug Hunter scope allows the most amount of light to be transmitted into it so you can see your target better. This also goes for environments which have very little lighting as well. So, for example, let’s say you’re hunting outside during the day and the sun starts to go down. Even though there is dimming light in your environment, more light will be transmitted into the scope so that your target will appear brighter than it would with the naked eye. The Slug Hunter 3-9×40 w/ a BDC 200 reticle is priced at $199.95 right now. 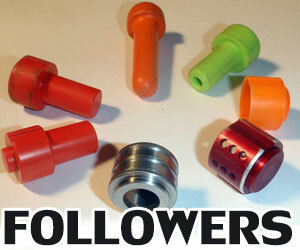 It can be purchased on many online websites which sell scope attachments and accessories for shotguns and rifles. 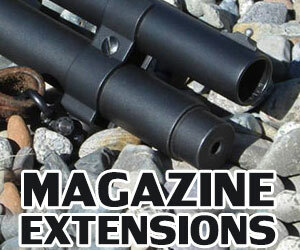 Many gun owners love the Slug Hunter and depend on it for long range shooting with their slug gun. Shotgun scopes have all kinds of variety to them. Some scopes are more suitable in combat situations while others may be more suitable for outdoor sports. Most shotgun owners in civilized society use their shotguns for hunting purposes. However, you may not be so interested in shooting birds or ducks with birdshot or buckshot shells. That can get boring and tedious after a while. Therefore, many hunters opt out of using birdshot and start using slugs instead. The trajectory of solid slugs is straighter and increases the shooter’s chances of hitting their target. The only thing that could improve the accuracy, even more, is a high-quality scope that lets you see your target up close and paint a crosshair over it. The Nikon PROSTAFF 2-7×32 Shotgun Hunter is a beloved scope for virtually any shotgun that shoots slugs. Its BDC 200 reticle is designed specifically for polymer-tipped slugs which travel at a velocity of 1900 to 2000 feet-per-second. With the reticle compensating for the trajectory of the slugs, it integrates ballistic circles which allow the shooter to see precise aiming points through the scope. That way, you don’t have to guess so much when trying to aim at targets that are farther distances away from you. Plus, the zero-reset turrets make it much easier to perform field adjustments. All you have to do is raise the spring-loaded adjustment knob after you sight-in and then rotate the knob to “0” before you engage. The eyepiece even includes a quick focus feature so that you have a crisp sharp visual of the environment without any blurriness or distortion. If you still aren’t convinced yet that this is a good scope for your shotgun, then consider the fully multicoated optical system of the ProStaff Shotgun Hunter. It provides maximum light transmission into the scope so that you can have the most brightness in the darkest of environments. This is perfect for hunters who like to go out at nighttime and hunt for prey then. You don’t have to worry about fog or water clouded your scope either because it is filled with nitrogen and sealed with an O-ring to keep the scope clear at all times. The Nikon PROSTAFF 2-7×32 Shotgun Hunter is priced at $159.95 and can be purchased online. 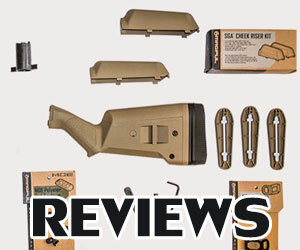 If you use your slug gun in dark environments (of course, not in full darkness) on a regular basis, then this scope is the best upgrade you’ll ever make to your shotgun. The Bushnell Trophy 3-9x40mm DOA 200 Shotgun Scope is the premier scope you’d want to have on your shotgun. The reticles are available in DOA 200 SG or you can have Multi-X as well. These reticles will give you extended range in your aiming so that you can shoot targets at much farther distances than you ever could with a shotgun. 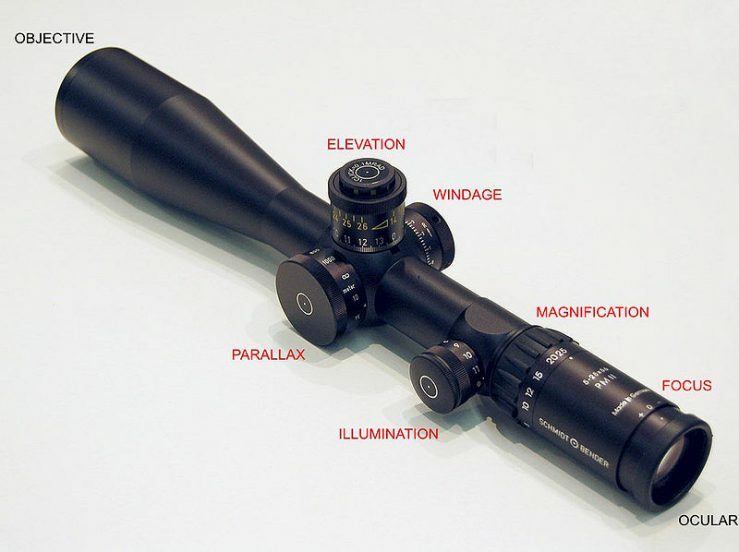 The scope can be magnified from 3 times up to 9 times the normal range of sight. Also, the scope’s fully multicoated optics give it maximum brightness in environments which are dimly lit or very dark. You can expect 91% of light to be transmitted through the optics so that your targets will appear brighter in the scope than they would with the naked eye. As for the weather conditions of your environment, don’t worry about your scope fogging up on you because it is 100% shockproof, fog proof and waterproof. Plus, the dry nitrogen that the scope is filled with also contributes to this kind of protection. This will truly be beneficial to hunters who like to hunt late in the evening and don’t want to worry about the darkness or rain interfering with their sporting activities. Instead, you just have to worry about finding your prey and shooting your shotgun at them. Just remember these shotgun scopes are supposed to be used with slugs because that type of ammunition is meant for shooting straight. If you use birdshot or buckshot with the scope, don’t expect to have much accuracy when trying to hit targets at farther distances away. Birdshot and buckshot contain pellets which spread wide when you shoot them. That is why shotguns are not traditionally meant for long range shooting. But with the combination of slugs and the Bushnell Trophy scope, you can make your shotgun suitable for longer ranges. 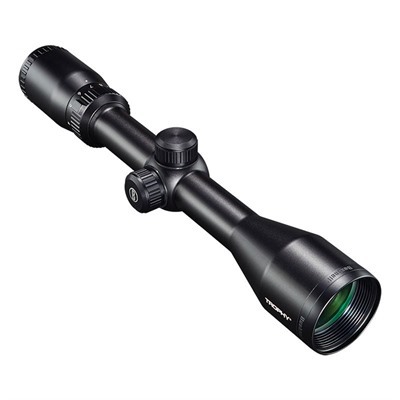 There are many online retailers which sell the Bushnell Trophy 3-9x40mm DOA 200 Shotgun Scope. Although you cannot purchase it directly through the Bushnell website, they do provide you with several online merchants which have it for sale. They currently have the scope priced at $149.99, which is not a bad price for a scope with so much durability and reliability. Of course, it will only be worth it if you plan to shoot targets or go hunting on a regular basis. But if that’s something that you do then it will certainly be a valuable upgrade to purchase for your shotgun. The Simmons ProHunter Scope Series is extremely versatile and contains scopes for shotguns, handguns, and rifles. The Simmons ProHunter Shotgun Scope is what you would attach to the top of your shotgun’s receiver in case you wanted to shoot slugs with it. 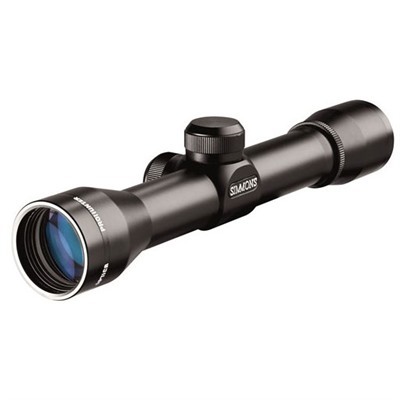 Simmons ProHunter scope is best used with slugs so you can have more accuracy with your shots. So, why is the Simmons Pro Hunter Shotgun Scope a great scope? For one thing, it provides the shooter with crystal clear images that are magnified and as bright as they can be. Even if you are outside after dusk and there isn’t much light in your environment, the optics will have maximum light transmission so that targets will appear brighter than they would without the scope. 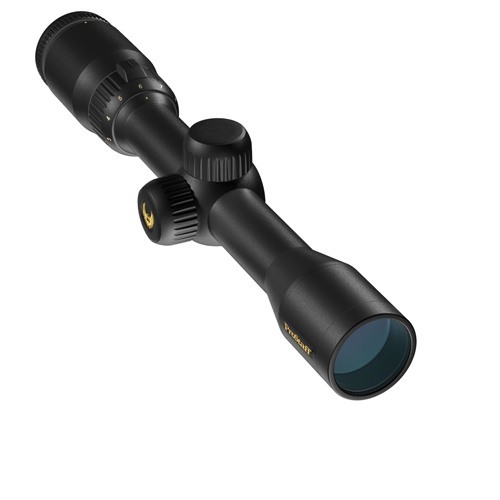 In addition, the scope features at Quick Target Acquisition eyepiece which provides eye relief for all the magnification range that you have available. With a 32mm objective lens, you can magnify the image within your viewfinder to up to four times the normal range of sight. You don’t have to worry about windage or elevation either because the scope’s elevation and windage adjustment system will keep the scope locked tightly in place so that there is no shakiness or unintentional movements. This is a feature not found on most other scopes. If you are on a budget and don’t want to spend too much money on a scope for your shotgun, then that is all the more reason to purchase the Simmons ProHunter Shotgun Scope. It is inexpensive and affordable. For its low price, you will get a unique scope that is as reliable as the more expensive scopes but with additional features they don’t have. The Simmons ProHunter is ideal for hunting purposes which is why it is called that. But if you want an additional reason to purchase it, then just remember the scope is waterproof and can sustain harsh weather conditions in your environment. Since hunters typically have to deal with rain, fog, and snowy weather conditions on a regular basis, then you’ll have the added comfort of knowing that your scope will stay clear no matter what is falling down from the sky outside. 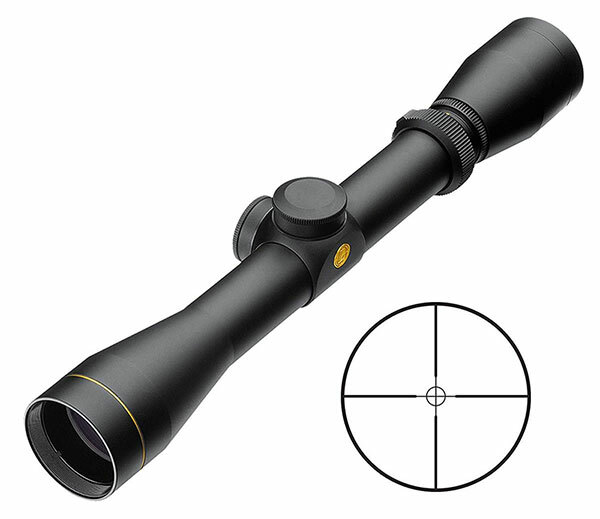 The Leupold 113867 VX-1 Shotgun Scope is the preferred scope amongst shotgun enthusiasts. It contains a quantum optical system that is quite revolutionary in scope technology because of its lead-free glass and its ability to transmit 92% of all light in your environment into the lens. That way when you look into the scope, the sight picture will appear clear, sharp, and incredibly bright. If you often use your shotgun in dark environments, this optical system will come in particularly useful then. It doesn’t matter if you are hunting game, shooting at targets, or on a law enforcement mission. The Leupold VX-1 Scope series is the preferred shotgun scope for virtually all kinds of environments and uses. The Leupold VX-1 series comes in a variety of scope sizes. You can get an objective lens size of 33mm, 40mm, and 50mm. The main difference between these sizes has to do with their level of magnification. The 33mm magnifies at 6.70x, the 40mm at 8.80x, and the 50mm at 8.80x as well. With a 3:1 zoom ratio and easy finger click adjustment features, you will find this scope series very easy to use when you’re actively aiming at your target. 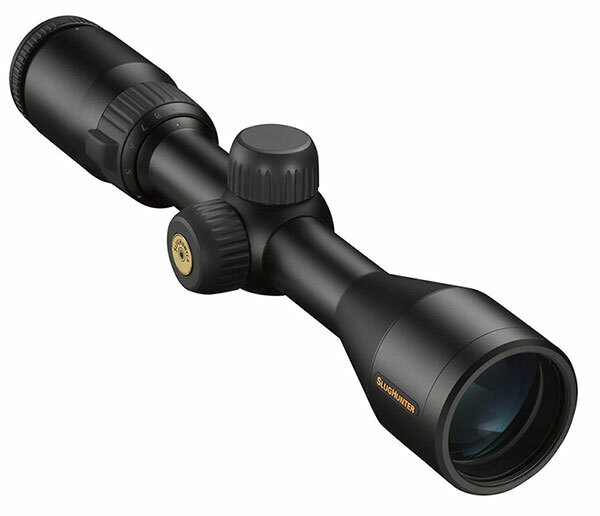 In addition, the Leupold VX-1 scopes are made to withstand harsh environments and weather conditions. The scope is filled with nitrogen which helps reduce the fogginess or glare you might often experience with a lens during rainy or moist weather conditions. Then lens also has a durable cover to protect it from dirt and accidental damage which could occur from dropping it. Most importantly, the lens cover will protect the lens if you store the scope away for extended periods of time. Things like dust and mildew won’t be able to get onto your lens with the lens cover on it. The price of the Leupold VX-1 scope starts at $259.99. If you purchase the 50mm size scope, then it will be $389.99. And for those who like their shotgun accessories made in the United States, all the Leupold VX-1 scopes are manufactured right in the good old USA. Question: I’m wanting to buy a scope for my 870 slug gun for Northeastern deer hunting. I’m considering the Nikon Slug Hunter BDC 200 Shotgun Scope, Black, 3-9×40. What’s the best ring system etc, (all hardware, start to finish), to get this scope mounted on my 870? Thanks!